Sponsored by Wake Forest Law in conjunction with the American Bar Association and German Federal Bar, the exhibit has been shown in nearly 100 cities in Germany, the United States and others parts of the world, according to organizers. 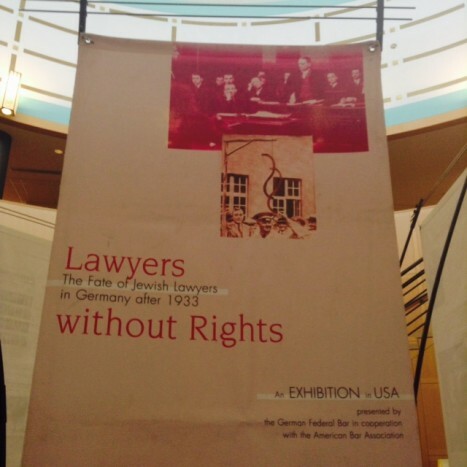 The idea for the exhibit was conceived in 1998 when an Israeli lawyer asked the regional bar of Berlin for a list of Jewish Lawyers whose licenses had been revoked by the Nazi regime, said Axel Filges, president of the German Federal Bar. View the hours of the library here.